The first is visible evidence on every continent of escalating temperatures, melting ice, more ferocious storms, fiercer droughts, and deadlier floods. The second is the wealth of scientific data that proves Mother Nature’s erratic behavior is no accident. It’s the result of the combustion of fossil fuels that is steadily increasing concentrations of greenhouse gases in the atmosphere. Last November, over 1,000 email messages from top climate scientists were stolen from the Climate Research Unit of East Anglia University in England, and posted online. The carefully planned theft and the acts of deceit that followed were clearly intended to dissolve the essential narrative foundation of the climate movement, break the global consensus about the causes and consequences of the warming planet, and halt momentum for government action. Nearly eight months later, as East Coast cities swelter in record heat that climate science predicted, it’s clear that the attack did not achieve its goals. As leaders of the U.S. Senate edge closer to introducing and debating a comprehensive proposal to secure America’s energy independence and limit carbon emissions, there’s been no talk of flawed climate science. Why? Because the science of climate change is accurate, according to a host of independent reviews and investigations in recent months by scientific panels in Europe and the United States. On Wednesday, an independent investigative panel commissioned by East Anglia University was the latest to clear the scientists who wrote the email messages of any dishonesty, ethical lapses, or unsound scientific practices. “We find that their rigor and honesty as scientists are not in doubt,” said Sir Muir Russell, the panel’s leader. The Muir investigation is the third independent evaluation in Great Britain to confirm the credibility of the scientists and accuracy of the science discussed in the stolen emails and posted online on November 20. 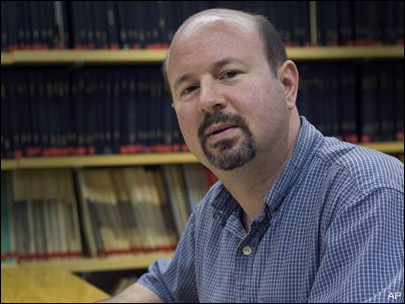 The conclusions of the Muir panel, moreover, come less than a week after an investigative panel at Pennsylvania State University confirmed the quality of the climate science prepared by Michael E. Mann, a climatologist at Penn State University, and the author of a number of the email messages hacked from East Anglia University’s data bank. In February, a separate Penn State panel concluded there was “no substance” to allegations of impropriety made by opponents of climate action, and that Dr. Mann’s scientific practices, ethics, research, and conduct were not in dispute. The five separate investigations of leading climatologists and the validity of climate science marked a dismal period of inaction in the United States and globally on climate change. But the consistent conclusions in support of scientists and the science, along with a monstrous oil spill in the Gulf and political missteps by prominent climate action opponents, appears to be fortifying the fresh legislative vigor to consider and pass a comprehensive climate and energy bill. Since May, President Obama has pressed the Senate to introduce and debate a new legislative proposal, prompted in large part by the nation’s revulsion to the BP Gulf catastrophe, now in its 80th day. In mid-June, in a nationally telecast speech from the Oval Office, the president called for a new “national mission” to build a low-carbon economy that solves climate change and achieves energy independence. Last week in a meeting with leaders of both parties, the president called for action this summer, a summons that Senate Majority Leader Harry Reid said Democrats were eager to meet. In the meantime elected opponents of climate science and action overreached, revealing the ideological foundations of their work. In February Senator James Inhofe, a Republican of Oklahoma and the most prominent Capitol Hill climate change skeptic, released a report on the hacked emails that identified several respected climate scientists as potential criminals. The effort to criminalize climate scientists was embraced by Virginia’s Republican Attorney General Ken Cuccinelli, who filed an unusual “civil investigative demand” under the Virginia Fraud Against Taxpayers Act requiring the University of Virginia to turn over six years of documents related to Dr. Mann’s research while he was a UVA faculty member. Cuccinelli’s prosecution, which appears to be weakened considerably by the results of the British and Penn State investigative panels, prompted a fierce counter-attack by the university, its faculty, many of the nation’s leading scientists and science organizations, including the American Association for the Advancement of Science. The basic charge: Virginia’s archconservative attorney general was abusing the power and prestige of his office to conduct a scientific witch hunt. Cuccinelli is expected to respond to that charge and others in a court filing on July 13, said a spokesman. Scientists, though, aren’t sitting still. Stanford University published a paper this month in the prestigious Proceedings of the National Academy of Sciences that found 97 percent to 98 percent of the climate researchers most actively publishing in the field support the tenet that combustion of fossil fuels is the source of global climate change, the basic finding of the 2007 Intergovernmental Panel on Climate Change report that was awarded the Nobel Prize. Just 2 percent of the scientists who are skeptical of that conclusion are actively publishing in the field, said the Stanford study. The vigorous defense of climate scientists, and the consistent conclusions of the British and American investigative panels also has put the accuracy of mainstream media coverage under new scrutiny. For instance, The Sunday Times of London, which reported that the hacked emails threw into question the accuracy of the Intergovernmental Panel on Climate Change, retracted one of its central claims about climate affects in the Amazon and acknowledged that it had misquoted a key climate scientist.